Huge Savings Item! 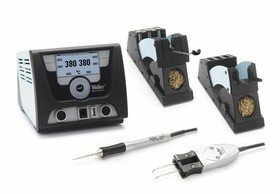 Save 16% on the Weller WX2021 WXMP, WXMT,WDH50 and 60, 120V Solder and De-Solder Station by Weller at In The National Interest. MPN: WX2021. Hurry! Limited time offer. Offer valid only while supplies last.